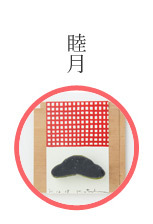 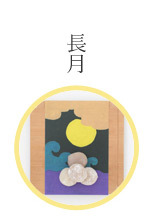 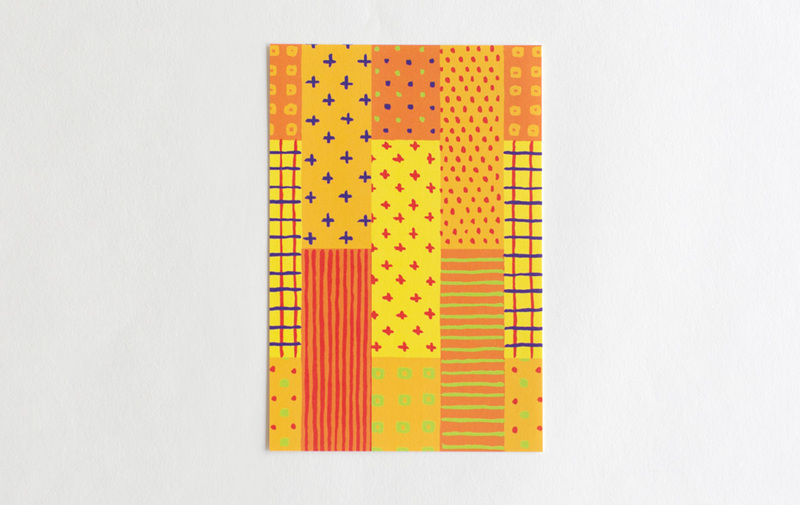 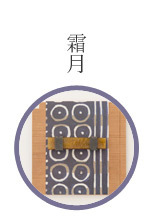 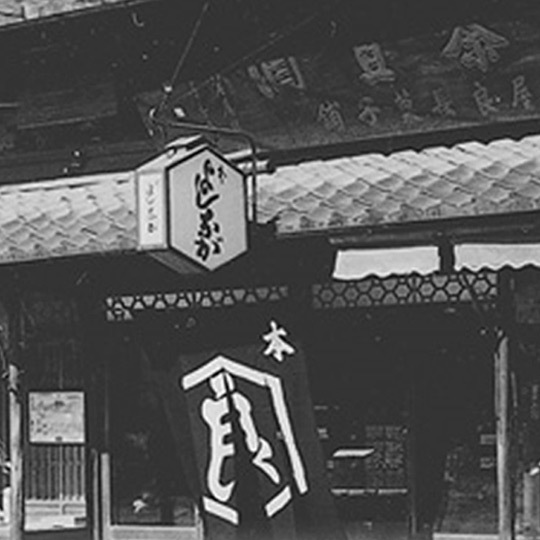 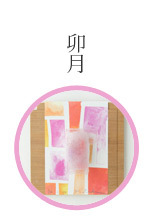 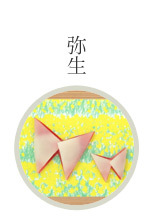 "Textile name : Rikka (Heisei 25)"
The wind has gradually become refreshing. 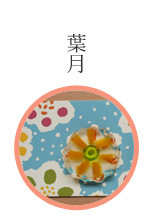 Little by little, I feel the signs of summer here and there. 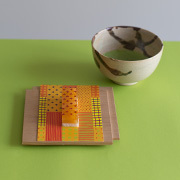 I would be released if I go for a picnic to have lunch to the mountains and fields. 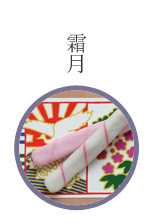 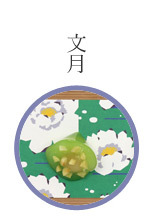 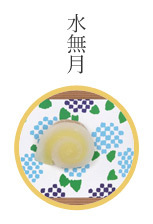 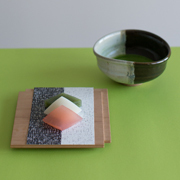 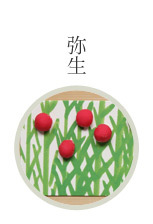 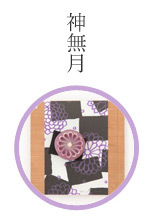 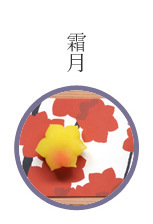 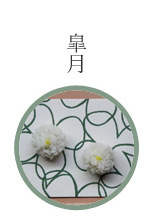 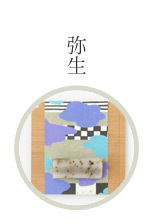 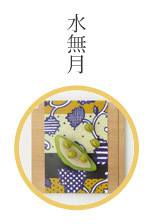 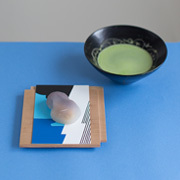 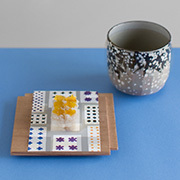 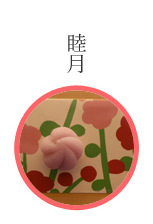 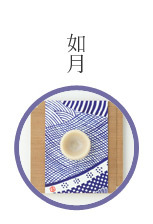 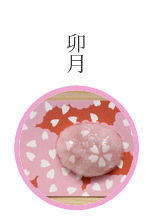 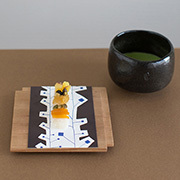 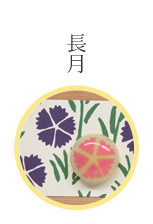 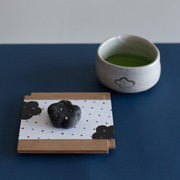 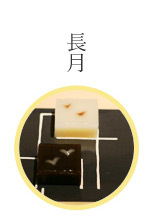 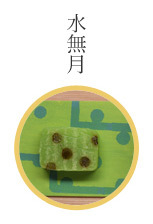 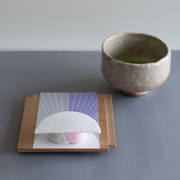 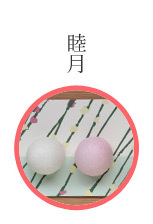 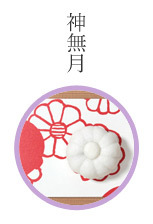 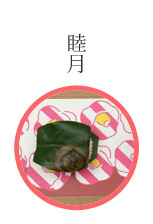 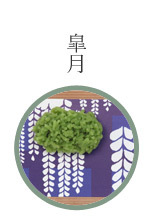 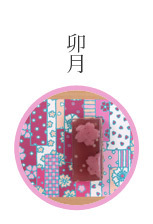 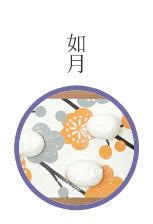 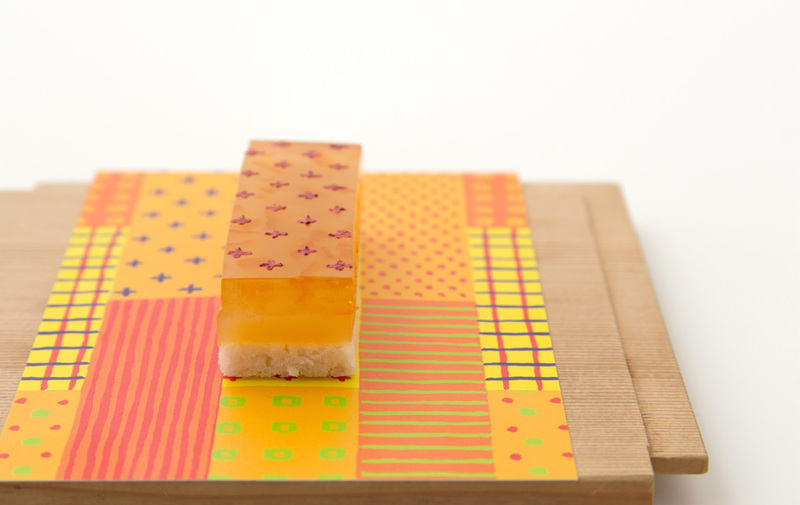 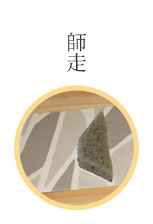 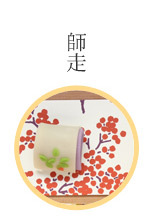 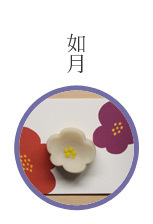 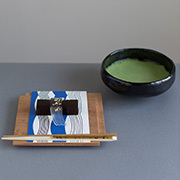 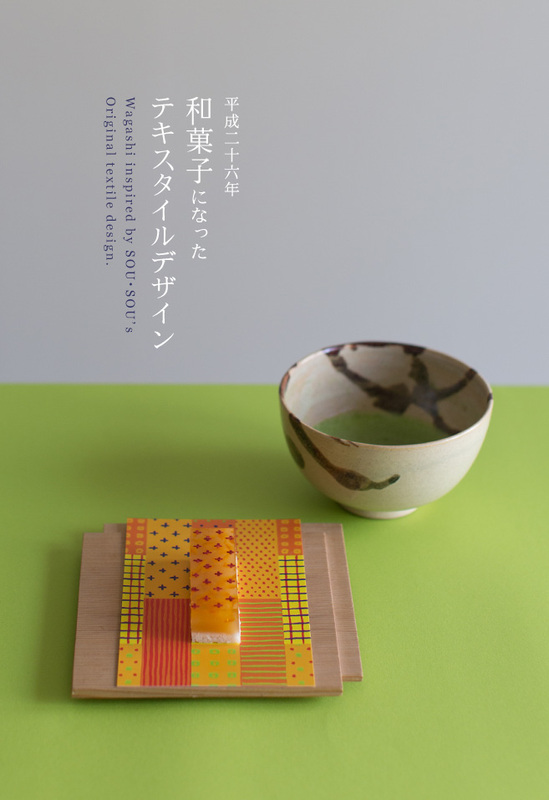 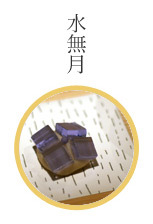 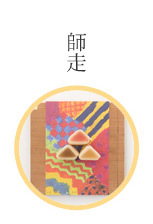 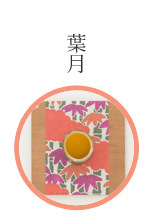 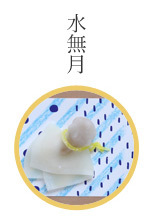 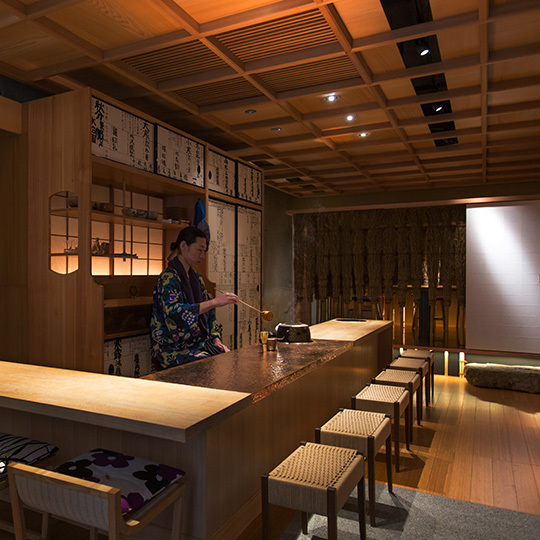 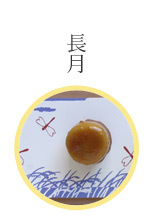 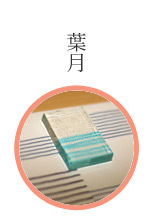 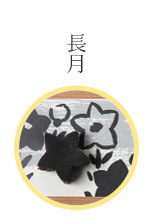 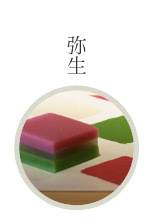 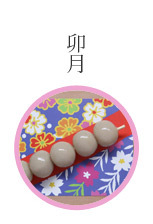 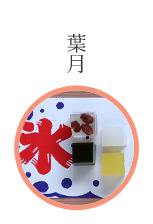 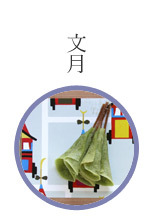 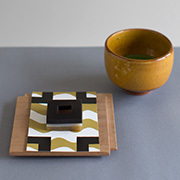 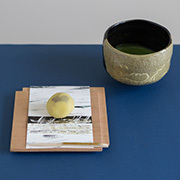 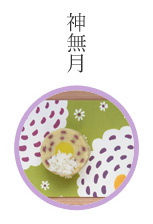 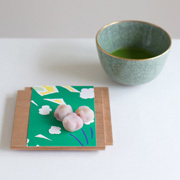 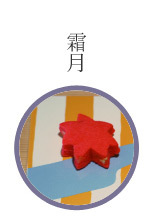 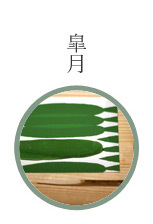 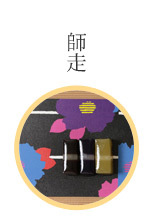 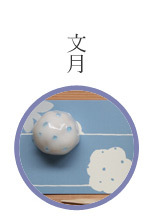 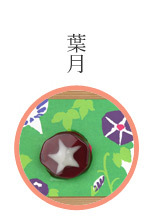 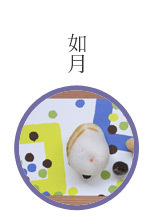 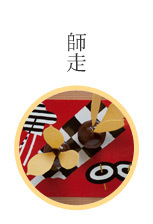 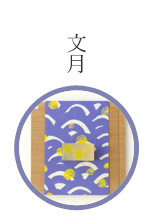 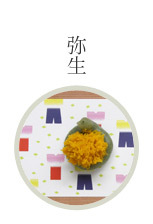 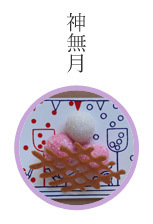 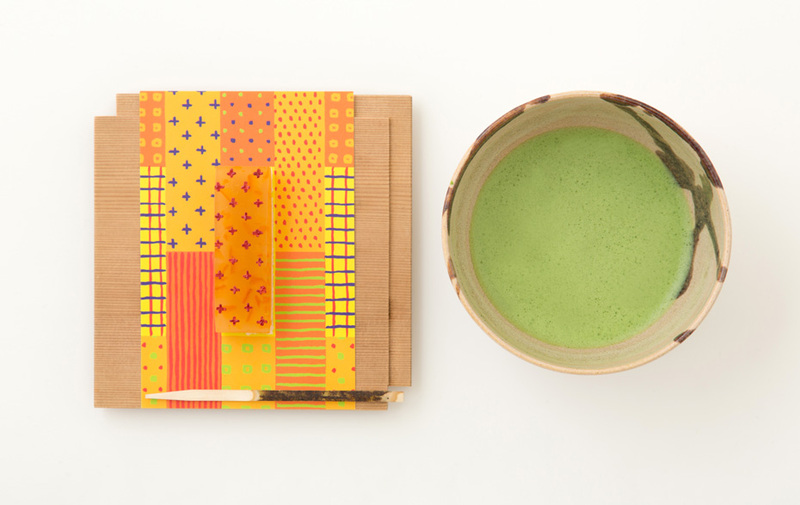 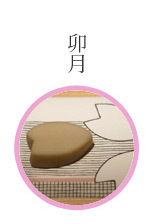 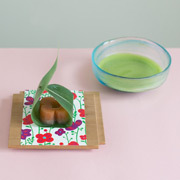 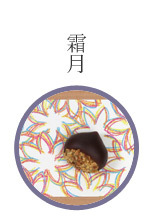 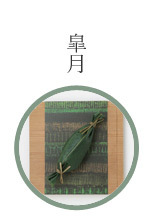 May’s wagashi is a pretty saogashi, Japanese sweets in long shapes, the same as the part of the textile design. 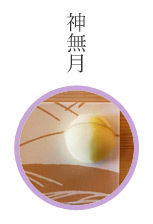 It is made of plenty of late-ripening citrus which are on the market at the beginning of summer. 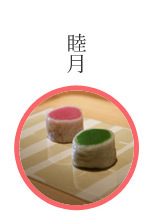 That provides refreshing flavor. 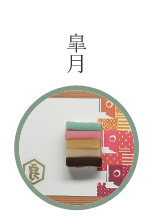 It has three layers; kingyokukan, made of agar with sugar and syrup, mixed with citrus peer, shiro-youkan, white sweetened bean jelly paste, added a lot of the citrus juice, and murasame which is made of white sweetened bean paste mixed with rice flour and sault. 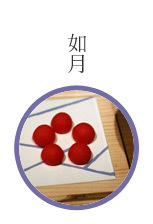 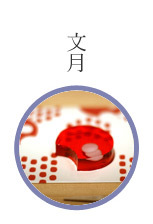 The pattern “+” is drawn by hand made of red yeast rice and powder of dried gardenia.